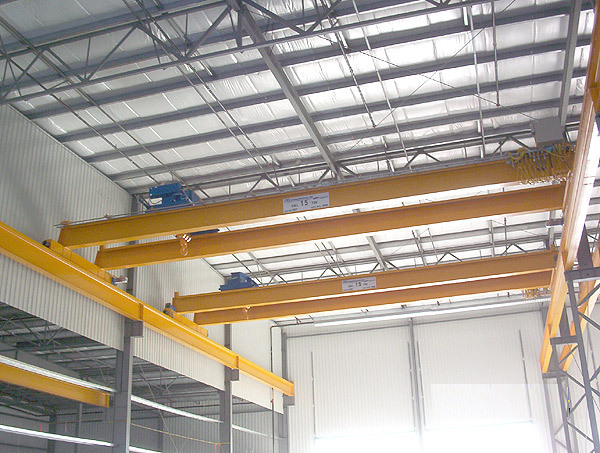 CRS Top Running Single Girder Cranes range in capacity from 1 to 15 Ton and span up to 100′. 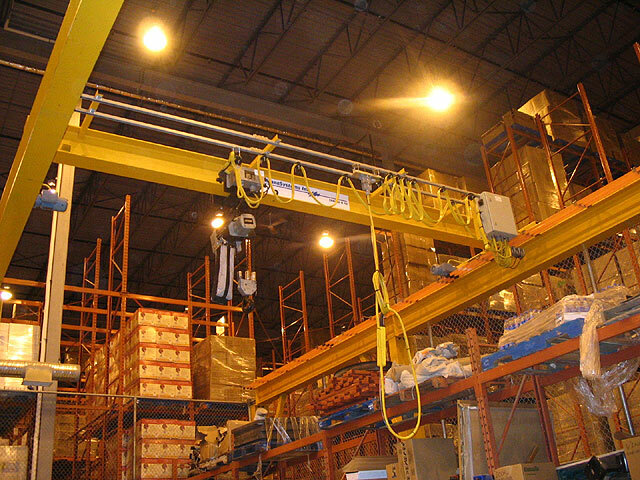 This type of crane can be supplied with manual or motorized operation and can be supplied with a chain or wire rope style hoist. All CRS Top Running Single Girder Cranes are supplied with HMI H4 heavy duty rated hoists and direct drive, rotating axle style end-trucks. 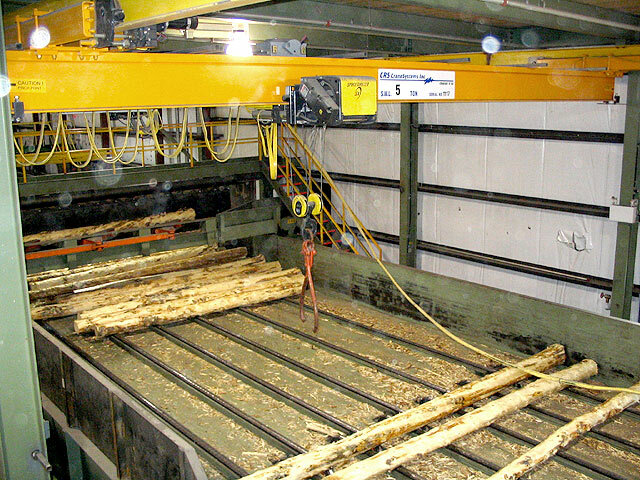 Making our standard cranes capable of minimum CMAA Class D Service. 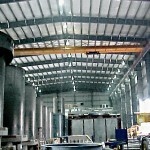 Longer Spans and Heavier capacities are available. Contact your local CRS representative for more information. 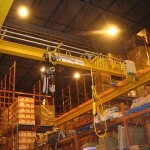 3 ton top running single girder crane with freestanding runway system. 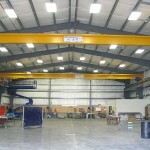 7.5 ton top running single girder crane, 80' span with full length service platform. 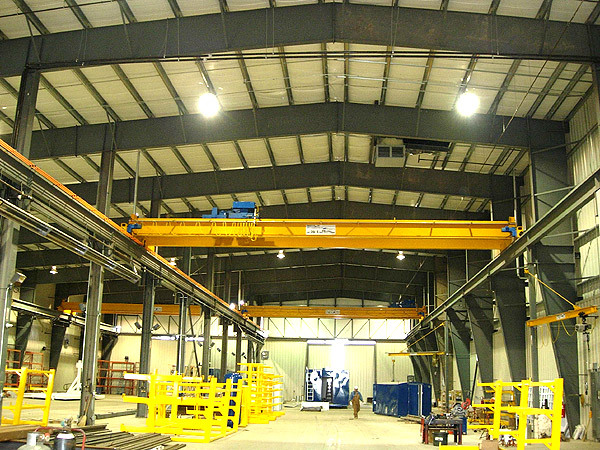 CRS Top Running Double Girder Cranes range in capacity from 5 to 150 Ton, span up to 150′ and can be designed for CMAA Service Class A through F. This type of crane can be supplied with structural shapes or welded box girder style bridge beams, and in standard or low headroom configurations. 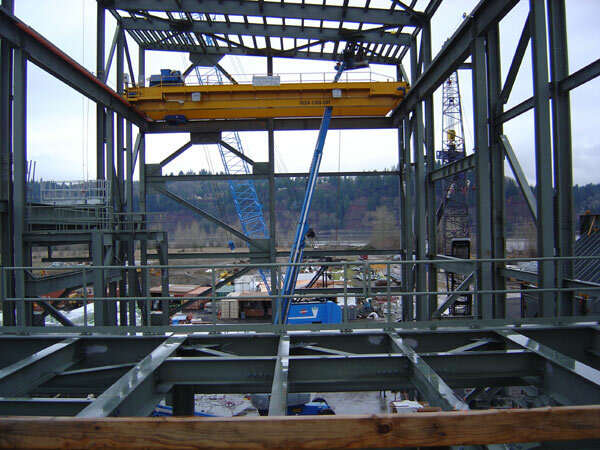 45 ton top running double girder custom designed to meet extremely tight hook approaches. Turbine maintenence application. 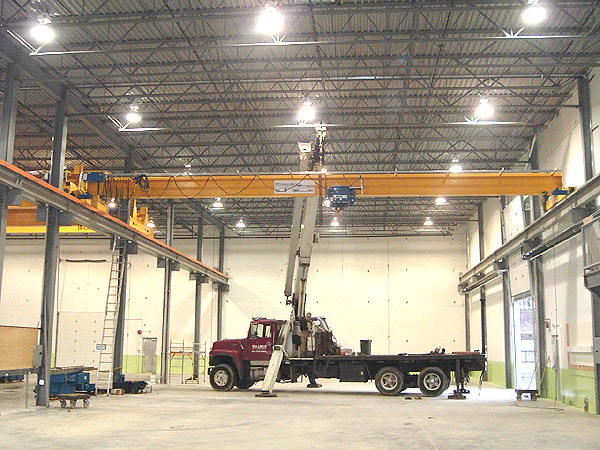 One of two 30/10 Ton Top Running Double Girder cranes supplied along with runways, crane doors and multiple jib cranes into a new fabrication facility. 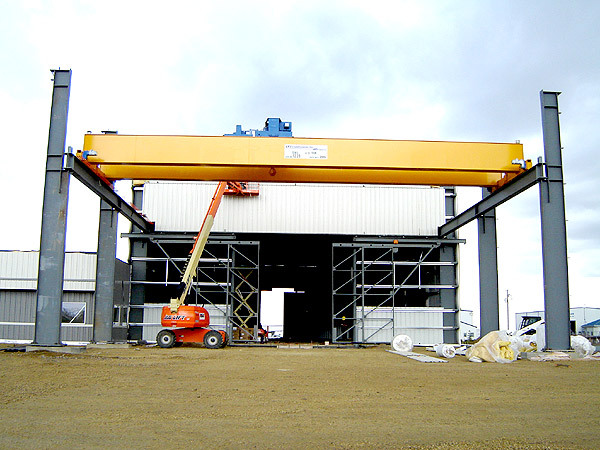 73/3.2 Ton Capacity Top Running Double Girder bridge crane complete with freestanding runway system. 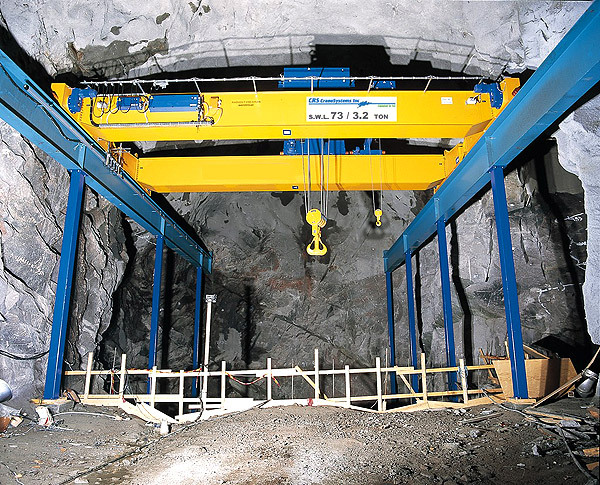 This crane is installed underground in a large mining operation. 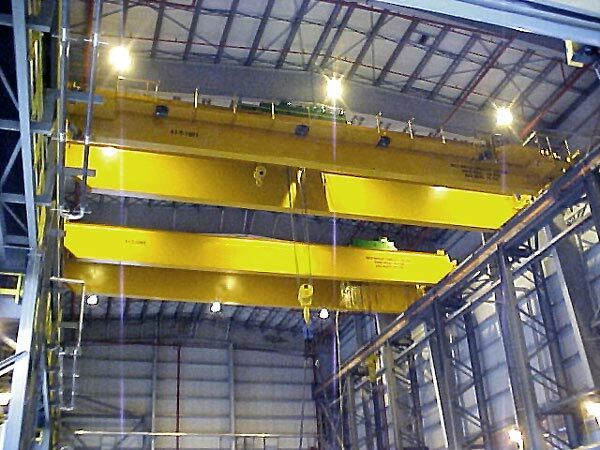 Three of nine 20/5 Ton Top Running Double Girder Cranes Supplied and installed by CRS CraneSystems. 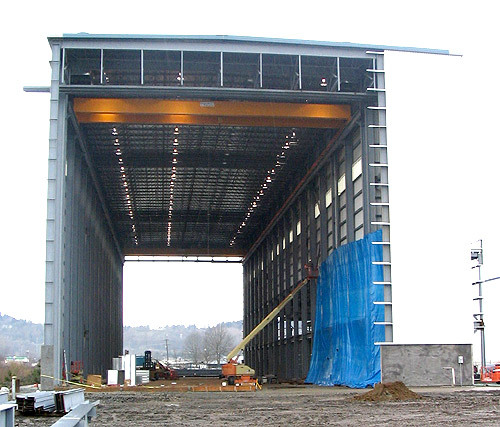 CRS supplied two 15 Ton Top Running Double Girder Cranes with spans of 75' and 80' of lift for a new luxury yacht manufacturing facility. 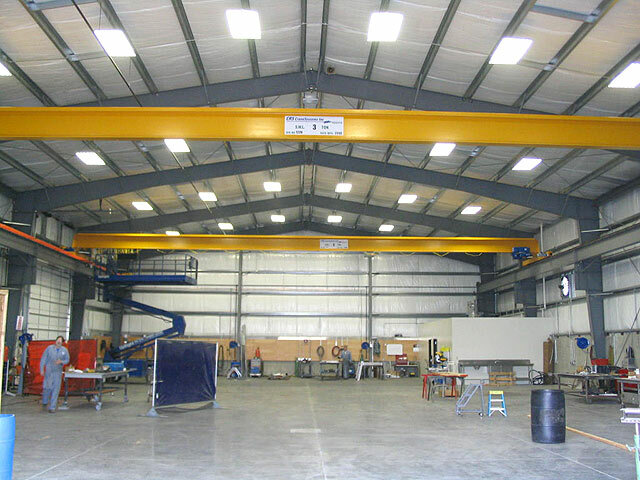 Two of four 15 Ton Top running double girder cranes supplied and installed complete with runway systems into a large machine shop operation by CRS CraneSystems. 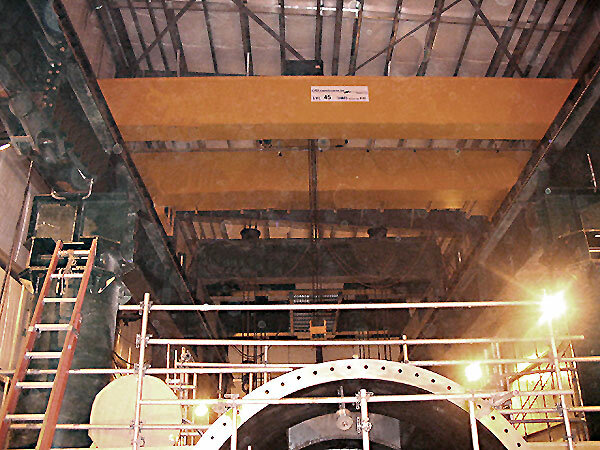 80/5 Ton Top Running Double Girder Bridge Crane Complete with Service Platforms, Digital Load Display System, and Radio Remote Controls Installed in a Turbine Room at a Large Power Plant. 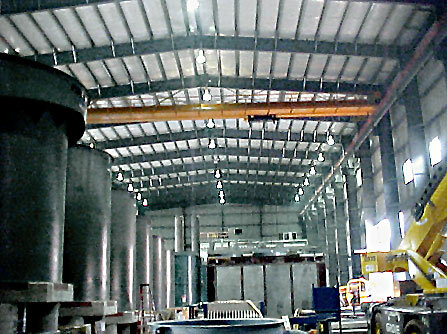 CRS Under Running Single Girder Cranes range in capacity from 1 to 15 Ton and span up to 60′. 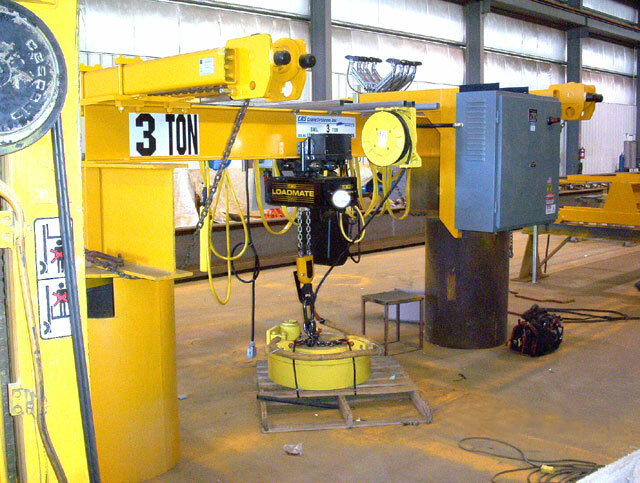 This type of crane can be supplied with manual or motorized operation and can be supplied with a chain or wire rope style hoist. 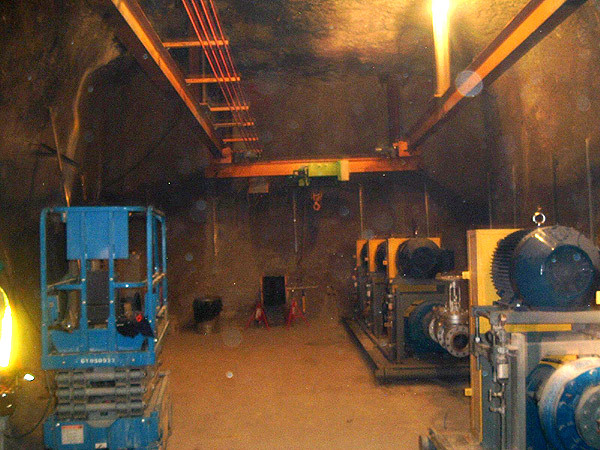 3 ton under running single girder crane installed underground for pump maintenance at a large mining operation. 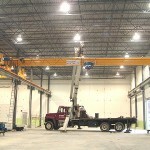 3 ton under running single girder crane complete with lifting magnet. 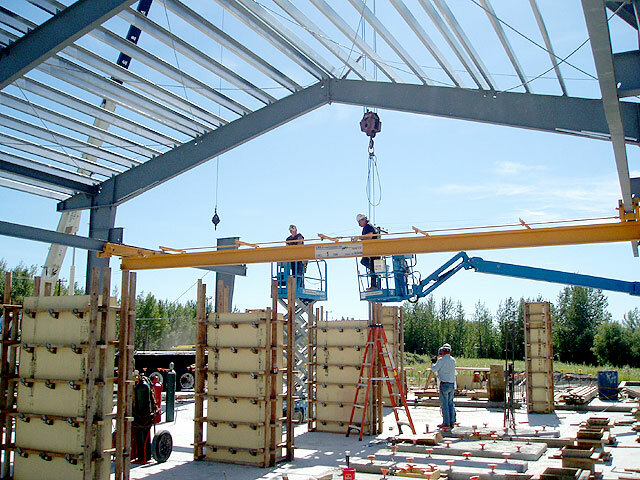 Installed at a remote mine site in Alaska.